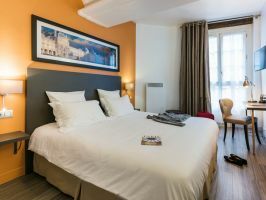 Book a hotel for the day in Paris and get some great deals and offers for day rooms. Paris welcomes 15.6 million visitors each year – and it’s no surprise it’s one of the most popular tourist destinations in the world as its famous for its art, culture and history. Paris is full of top attractions, museums, art galleries, things to do and places to go no matter what time of year you’re planning on going. Paris is synonymous with art and the city has numerous art galleries showcasing some of the best masterpieces from around the world, from pre-history to the Renaissance, contemporary and classic. One of the most famous art galleries is the Louvre Museum, home to the iconic Mona Lisa. This historic building dates back to the 12th century when it was originally a fortress, before it was a palace in the 16th century, later becoming a museum in 1793. You can’t miss the iconic glass pyramid in the courtyard in front. 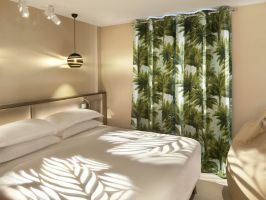 At Hotels By Day, we work towards meeting your needs by offering same day check in and check out options at day hotels, for your perfect hourly hotel in Paris to take a “daycation”.